How to remove the limit on the links. New users shows them as a limitation wrote topic. How to remove the limit on the links. Re: How to remove the limit on the links. Make sure this is set to No. Note: Idk if this'll work on FAE, because I don't know if the normal Administration Panel is still accessible. I did not understand that? Can you access the normal Administration Panel? I'm sorry I do not understand. 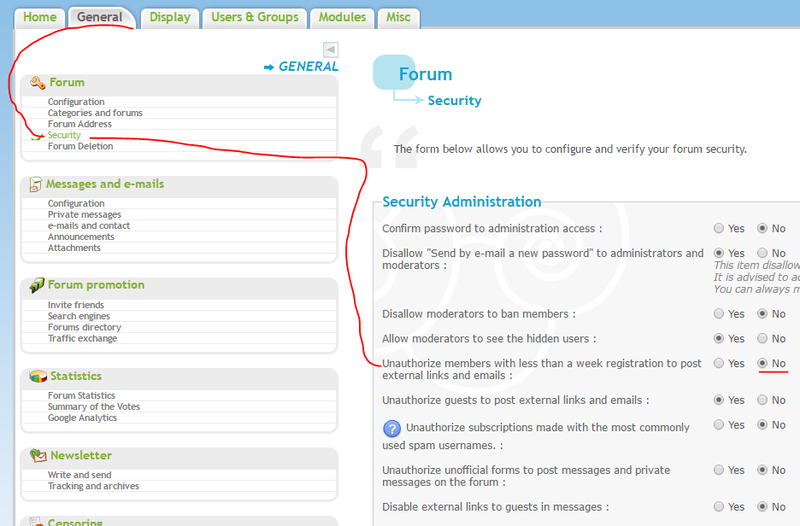 Go to the bottom of your forum and press the link that say Administration Panel. If you do not see one, put this at the end of your forum's link: /admin . Also this has nothing to do with Edge. I can go into the admin panel without a problem. Yes, @SLGray is correct that this has nothing to do with FA Edge, but since an answer has already been given I'll let it be solved. @smurfavr follow the instructions @Ace 1 gave you below.